This is one of my new signature scents. This soap is scented in a lovely magnolia and freesia blossom fragrance. 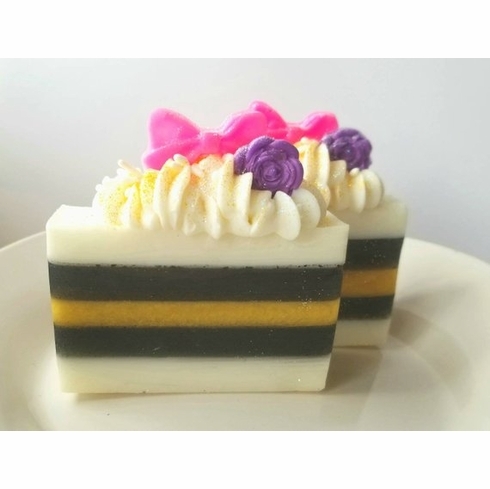 It is a black, white, and gold striped glycerin soap with a cold process dollop. Decorate with a pink soap bow , a purple soap flower, sprinkles and glitter. Weighs approximately 5.5 oz. Made with shea butter, olive oil, and coconut oil.